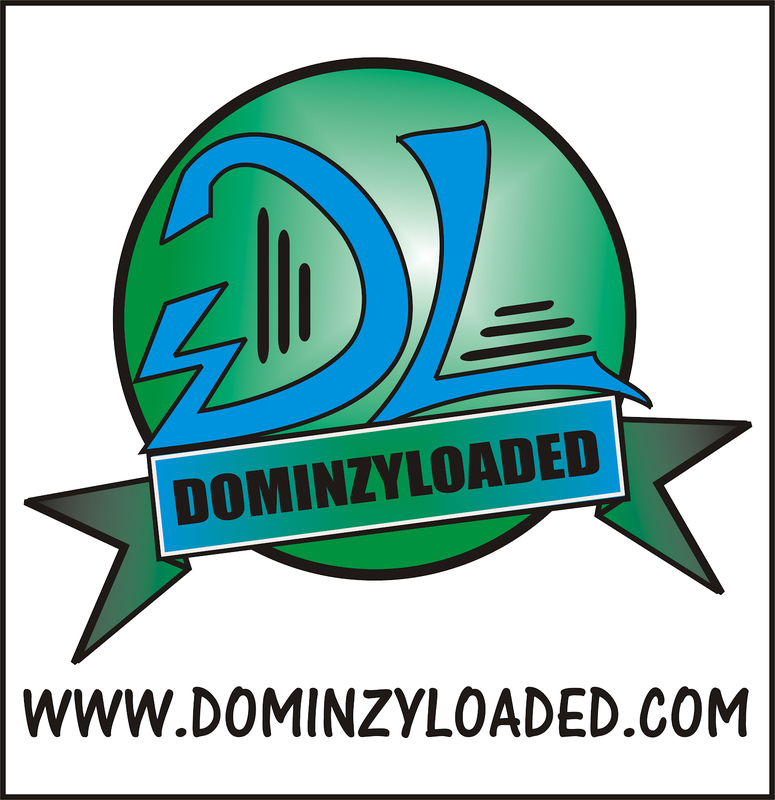 Tech News | DominzyLoaded.com App World General Mobile Tips Phone Tech Technology Tutorials 10 Awesome Features Of WhatsApp 2018 That You Never knew. 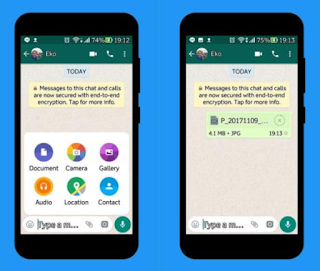 10 Awesome Features Of WhatsApp 2018 That You Never knew. Currently, WhatsApp has the more than 1.2 billion user. Whatsapp is an instant messaging app that belongs to Facebook and is also very diligent in launching the new features. 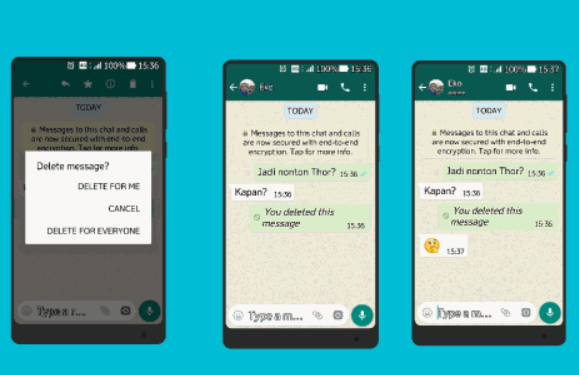 However, some of us are to to figure out and maximize the new features, we have summarized below, a collection of new features of WhatsApp 2018. Thanks to the features of the new WhatsApp “Deleting message for everyone,“ You can pull back and remove the messages that have been sent already to the WhatsApp group or individual. However, You can only draw a message in a maximum time of 7 minutes. More than that, the message You send to your WhatsApp cannot be removed. 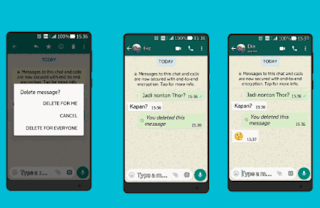 The following natural steps new message on WhatsApp 2018. Select the message that You want to delete, either in group or individual. Then hold or press the message and click the option delete or select the trash can icon. Select “Delete for Me” to chat an individual, or a “Delete for Everyone” to chat in a group. Messages that You have pull still leaves description “this message was deleted,“ but no longer can see the contents. You often got a job in the field or frequently meeting with clients outside the office. New feature WhatsApp 2018 “Live Location” is certainly very useful, because You can share a location simultaneously monitor the journey of Your friends in real-time. 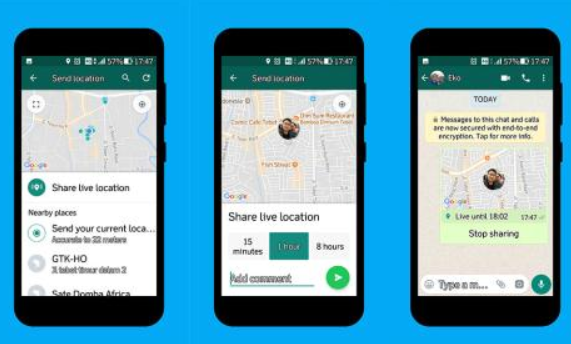 How to share your location quite easily, open the chat friend or to a group, then press options Location and select “Share Live Location.“ You can control who can track Your location and set how long time, ranging from 15 minutes, 1 hour or 8 hours. 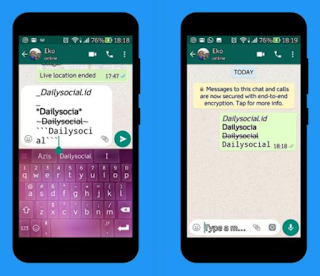 For those of You who often send broadcast messages, the feature of formatting text or customize the format of the font in WhatsApp is certainly very useful to make the message more professional or attractive. 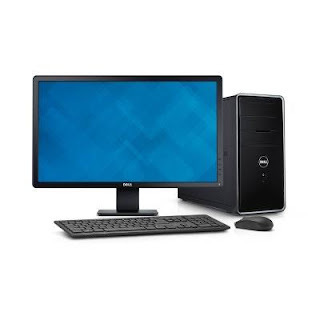 The reason is, You can use text formatting such as bold (bold), italic (italic), the text of which is crossed out (strikethrough), and monospace. To make the text in WhatsApp messages to be bold, add an asterisk (*) in front of and behind the desired text, e.g., *to*. For Italic (italic), add an underscore (_). Then, for the text in WhatsApp messages have the strikes, add a tilde (~). 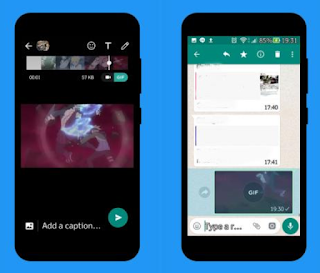 Now You can send almost any format of the file on WhatsApp 2018 New Version. You can also send the full resolution photo to WhatsApp without reducing the quality. The way You have to send it through the attachment document, these steps. Open WhatsApp and click the logo attachment, select the Document. Then, select the photo You want to send. If you are an active whatsapp user, you get a lot of messages daily, It feels quite troublesome if have to explore the important chat one by one. The solution is easy, just pin chats that are most important to You in. So, it can be more efficient and time-saving. Recent GIF image is indeed more popular on social media. You can make the GIF from video easily on WhatsApp. How You want to send a video, set the right moment, and then click GIF format. Now You can share the story with more interesting in WhatsApp. Almost similar to Snapchat, Instagram Stories, and Facebook Stories. You can share the story through pictures or videos seasoned with the effects of interesting. 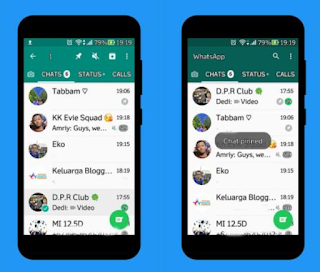 Another feature of the updated whatsapp version is that WhatsApp has updated its app so that users can continue to listen to a voice message while browsing around other conversations, or leaving the app entirely. 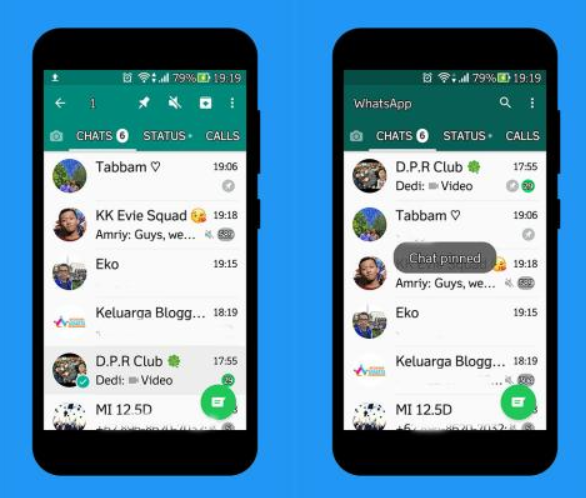 2018 version of whatsapp now allows group admins to set the description of their group. This will allow new members know what the group is all about. This settings can be found directly on the "Group Info". As a group admin, you can now set permissions concerning whomever you want to change the group icon or subject. 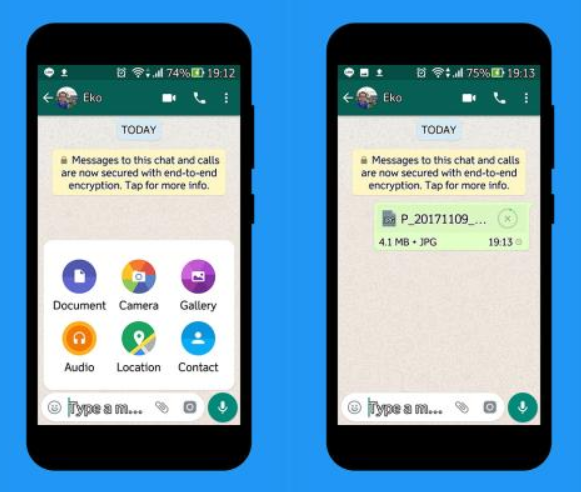 That's some of the features of WhatsApp which was released this year 2018 and will be useful for everyday use. Some of the features have already been discovered by some users, but if you're just finding out now, then you should try them all out. For problems and issues encountered ,kindly comment below to get swift solutions.